*Please read Final Fantasy and the Bible: One-Winged Angel Part 1 before continuing. 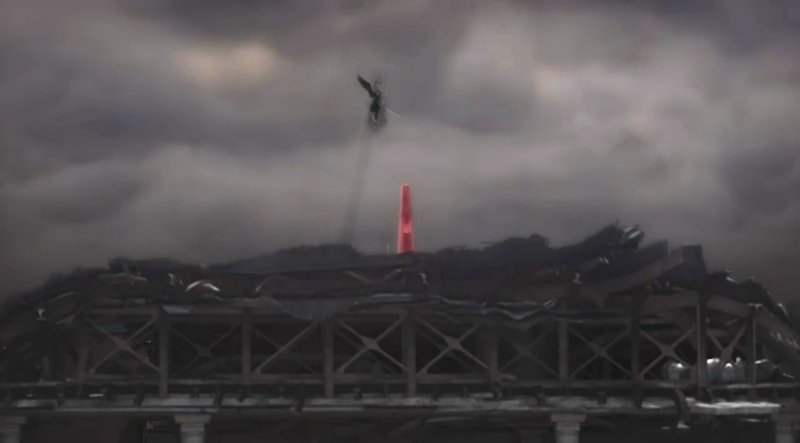 Since our first article about Sephiroth, we’ve discovered that some of the best evidence for Sephiroth being “another Jesus” is found in (arguably) Final Fantasy’s most iconic theme song-One-Winged Angel (OWA). 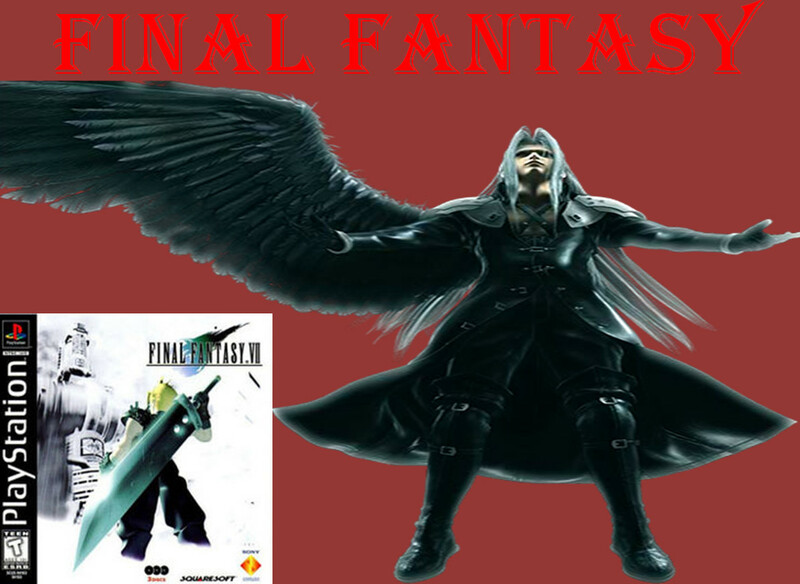 In the first part of this new series about Final Fantasy, we compared both the official and literal translations of One-Winged Angel. Now, we’ll finish examining the literal translation. *Literal translation provided by FFWiki community. By God’s design, Jesus willingly died on the cross for our sins, rising three days later. This verse is a departure from the pattern we have established thus far. 1. The composition and imagery of the scene is very suggestive. 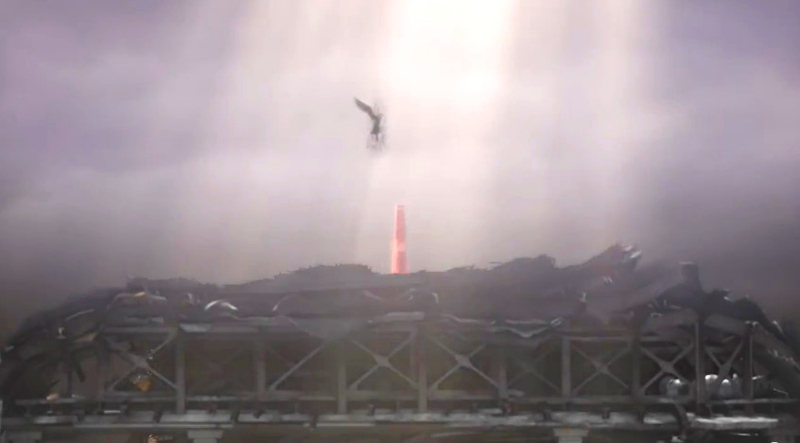 Sephiroth is seen suspended in mid-air, wing outstretched, with light falling around him. This matches traditional artistic depictions of Jesus’ death. “I will come again” not only references his resurrection, but also speaks of his second coming (or second advent). “And I saw heaven opened, and behold a white horse; and he that sat upon him was called Faithful and True, and in righteousness he doth judge and make war. His eyes were as a flame of fire, and on his head were many crowns; and he had a name written, that no man knew, but he himself. And he was clothed with a vesture dipped in blood: and his name is called The Word of God. “And I saw the beast, and the kings of the earth, and their armies, gathered together to make war against him that sat on the horse, and against his army. And the beast was taken, and with him the false prophet that wrought miracles before him, with which he deceived them that had received the mark of the beast, and them that worshipped his image. These both were cast alive into a lake of fire burning with brimstone. Jesus, unlike Sephiroth, is real and will come again. This entry was posted in Uncategorized and tagged another gospel, another Jesus, another spirit, anti-biblical, bad, Bible, christian, christianity, Crisis Core: Final Fantasy VII, demonic, Devil, evil, Final Fantasy, Final Fantasy 7, Final Fantasy 7 Remastered, Final Fantasy and the Bible, Final Fantasy Series, Final Fantasy Seven HD, Final Fantasy VII, Final Fantasy VII HD, Final Fantasy VII: Advent Children, Final Fantasy: Advent Children, gaming, God, good and evil, Jesus, Jesus Christ, judgment, KJV, kjv bible, lie, Lucifer, reborn, review, rise, salvation, Satan, satanic, Sephiroth, spirit, video game, video games, video games and the Bible, videogames. Bookmark the permalink.